One day, too late… just as well. There is nothing more frustrating than to be sick everyday with no answers. Spending all your “free time” in hospitals and medical clinics. Test after test, each one giving you hope that you’ll find answers. To give reason for the suffering. For validation. For purpose behind the pain. Only to be left disappointed and with more questions than before. Last week I had my last round of scheduled medical testing for my stomach. I was scheduled for a ultrasound on my gallbladder, impedance and pH study, and a gastric emptying study. It’s hard not to have expectations going in to these tests. I’ve spent so many years researching, studying, and living with my illness. I always THINK I know what the outcome is going to be, but I should know better by now that things are never what they seem (and maybe even more so when you’ve gone this long without a diagnosis). I thought for sure, there is no way that my gastric emptying test would come back normal. I did expect minimal results on the other two, but with all the dysfunction I have with my stomach, I truly believed it was absolutely impossible that this would be just another “within normal limits” result. It takes weeks for anything to come out my stomach. I can feel the food and where it is in my digestive track as soon as it is swallowed. I get severe pain and constipation. My food comes out the same way it goes in. I won’t go to the bathroom for weeks at a time. I feel full after only a few bites. I can’t eat and drink at the same time due to filling up too fast. I am ALWAYS, without end, nauseated. When I do eat, I am bloated for days at a time. Most days I feel no hunger at all. I was convinced that I had gastroparesis. In fact, my GI doctor thought so too, especially after I wasn’t cleared out after my colonoscopy. Now, I wasn’t whole-heartedly thinking that gastroparesis would be my DIAGNOSIS or even the cause of ALL my symptoms, but I thought it was a bi-product or complication of something else. The gastric emptying test itself takes four long hours and is basically a game of hurry up and wait. We arrive at the hospital early in the morning. You’re not allowed to eat or drink anything after midnight the night before. Usually for the test, they have you eat eggs with radioactive materials as the contrast, two pieces of toast with jelly (evidently the sugar in the jelly is the key to moving the digestive track – who would have thought) and a full glass of water, all in under 10 minutes. Well, since I have an allergy to eggs, I got to do it with plain, sugar-free oatmeal, toast and jelly, and a small glass of water. It’s not that it tasted bad, per say, but it was early and that was the most I had eaten in a long time in one sitting. I could tell the technician was slightly impatient with how long it was taking me to get it down, but I was trying the best that I could and I felt like I was plowing through it (even though I wasn’t). After the 15 minute time mark, she gave up and told me the half a cup of oatmeal and single piece of toast I choked down should be enough. It was, which was confirmed after my first round in the machine, which showed small specs of radioactive material high up in my digestive track. This is what the machine looks like. 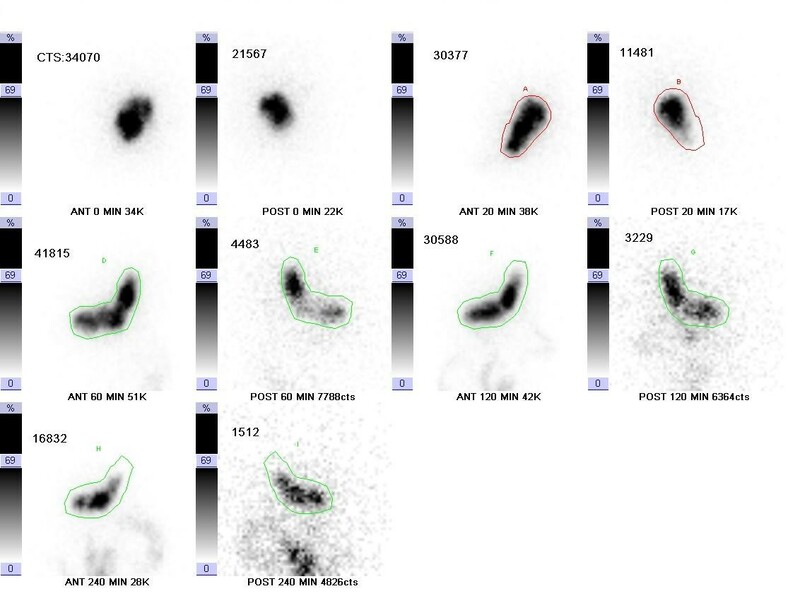 These are how the images come out on the computer screen as they are generated from the scan. I followed along with my results at each hour and compared them to a normal scan. Of course, there’s calculations they make along the way, but it gave me a general idea. And at each check point, I could tell that the test was going to be normal. So needless to say, after the first two hours of the test, I was disappointed. And I still had TWO MORE HOURS to go. You are literally in the machine for 5 minutes and then wait to be scanned again in another hour. Wait. Wait. Wait. You’re mind is going crazy. It’s a long test, especially when you feel like it was going to be another waste of time. And I didn’t have any coffee, so I was getting grumpy. Again, I should know better. Oh well. I’ll add this test to my long pile of normal results. And wouldn’t you know, I have finally been able to eat this week because of the prednisone i was given for the anaphylaxis, but haven’t had a bowel movement since my test. But my stomach is emptying normally…. *smh* Why didn’t this happen LAST week, when I was testing. 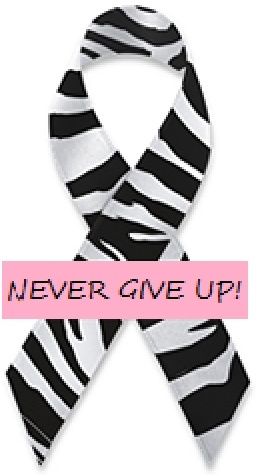 It’s sad when you pray to have abnormal results, but that’s life when you are undiagnosed. 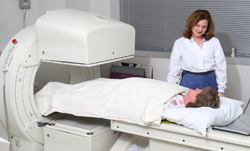 The only test that came back abnormal was the CT scan. It’s just frustrating being so sick but your tests keep telling you that everything is normal. I’m sorry, this is NOT normal, despite what the tests say. You almost become numb to the all the testing. It’s not they’re enjoyable by any means, especially when you’re doing tests on your GI track. Almost every GI tests involves eating/drinking some disgusting type of contrast material, you starve yourself for days preparing for the test, you’re exposed to an ungodly amount of radiation, and they can make you sick for days after. And more times than not, with abdominal pain being one of the hardest chronic problems to diagnose, you go through all of this for no reason. If anyone says they enjoy diagnostic testing, then they are straight up lying to you. But you do it, because you have hope. Seeing as all my symptoms started with the abdominal pain and it causes the majority of dysfunction in my life, I have always centered my “theories” around diagnosis being related to that. But as more tests are done and I begin to connect some more dots from the tests that have actually come back abnormal, I am starting to believe that my stomach and digestive system is not actually the problem at all. Especially with all the other random symptoms that keep rearing their ugly faces every time I turn around. It’s made me start looking into other body systems. I swear, with all the time I’ve spent researching and studying, I should have earned a medical degree by now. I know I should stop trying to diagnose myself, but how else am I going to find an answer? No doctor is going to, or even has the time to, do this kind of research themselves. If it wasn’t for the time I spend on my online medical degree, then I wouldn’t even be this far. I found all my specialists myself. I find the research studies backing the connections and symptoms. 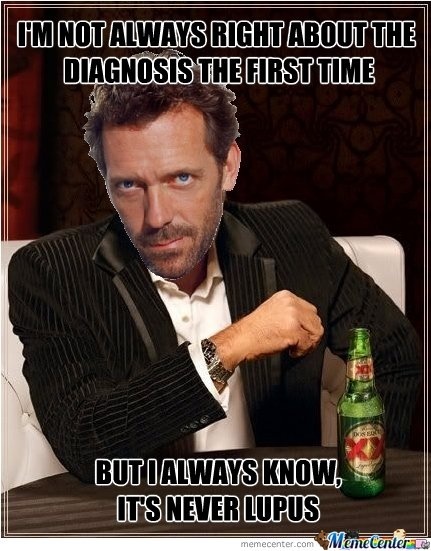 I look for differential diagnoses. If I had left it up to my primary care doctor, I’d be waiving the white flag, accepting that I am a medical mystery, and go about life in pain until I die. That’s just not good enough, I’m sorry. 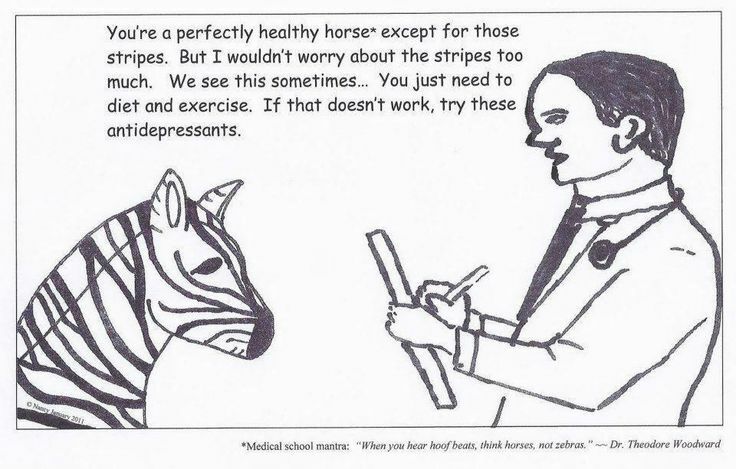 Most people in the chronic illness community identify the zebra to those who have been diagnosed with EDS, but really, it’s a symbol for all of us who have weird and complicated symptoms that can’t be easily explained or diagnosed. It’s easier to disregard the symptoms than find the cause of them. And we are left undiagnosed. That’s why these tests are import. Why we have to keep trying to find an answer. Get validation. Prove to everyone that this illness is not in our heads, that this is a real problem that deserves to be taken seriously. I DESERVE TO BE TAKEN SERIOUSLY. 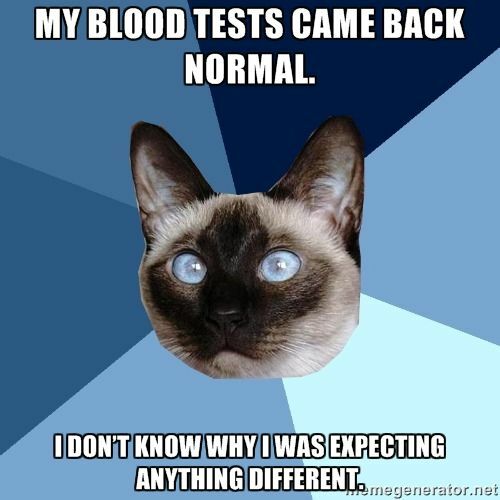 So I’ll keep collecting my “normal” tests until they have literally ruled out everything possible. Okay, prepare, because my comment will be long. I did the GETest. Lucky for you that you got the jelly! I got eggs, haha. My results came back with Gastroparesis (Delayed Emptying/Stomach Paralysis). But, my Radiation Guy told me that sometimes the stomach digests certain foods easier than others. So, if they gave you a larger meal you probably wouldn’t have been able to digest it as well as the smaller meal they gave you. In other words, you are not crazy. Secondly, I am tired of all of the tests too. They continue to come back normal, and when doctors see “normal” they just assume you are fine. They will send you home and continue to go on with your life. This is where we need better doctors to come in… doctors who actually have the time and patience. I FINALLY found one. He knew that my results were strange and that my symptoms don’t add up. We don’t have many answers, but they believe me. I wish I could send them to you! Or bring you down here. Lastly, don’t give up. I know it is hard. I know the appointments and tests are the after appointments are so very hard. But, I believe you and there will be a doctor who does too, and finds something. Medicine is advancing so quickly. Eventually, we will find a straight answer and management. In the meantime, we cannot give up. I am fighting alongside you, honey! Hold your head high! Thanks Cass. I have heard through some forums that the oatmeal, being lighter and less protein, dies not give the same result, although they are supposed to take that into account and compare only with others who have done oatmeal as well. It’s just so annoying because every test I swear is going to show something, like it has to, always is normal. How?!?!? I’m trying to stay patient but some days it feels like everything’s about to fall apart. And then new symptoms come, either making it even more complicated or bringing me back to something we’ve ruled out. 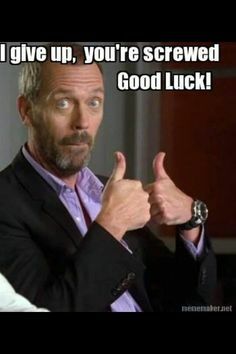 I know you know better than anyone with all the gi testing you’ve done. I’m just ready for something to give me a sign that this all worth it. I know in the end it will be and I’ll get an answer, just hate thinking about HOW LONG I may have to continue doing this. I know. I feel the same. Even in finding that, my doctor isn’t happy because of all of my other symptoms. I always fear this is how life will be. I’m jobless, careerless and alone! It is awful. But we have to keep trying! I don’t know how our tests come back fine. I don’t even know what to ask my doctor for anymore because he thinks i’m nuts lol. It’s the unknown that’s the worst. 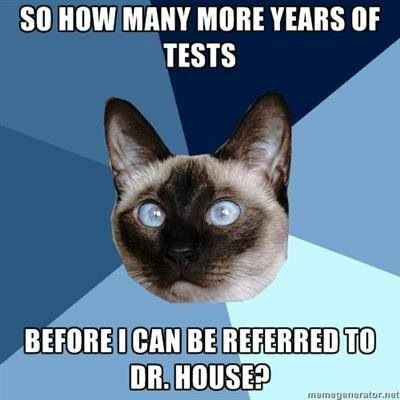 Do you ever feel guilty asking your doctor’s to run more tests or look at other symptoms? I’m getting over it, but I feel so needy and helpless, like I’m begging for more answers. It’s their job, why am I Feeling guilty? Yes. I am seeing my doc tonight and have anxiety just thinking about it. He can’t say no, or can he? No way can he say no… most likely. Let me know how it goes. I have had similar experiences! I hope you find some answers! Thank you. What tests did you have Heidi? The first test I was able to get some answers from was a functional stool test and I also did a 23 and me DNA test. But the scans, colonoscopy, a lot of blood work never really showed anything. That’s crazy. I’m interested to see what my gi doc will want to order next, if anything. I feel like all testing should be ambulatory. My neurologist is always wanting me to come in and do a week-long test where I hang out in the hospital off of all my meds so he can monitor my seizure activity. I don’t understand why he doesn’t understand that I probably won’t be that bad because my lifestyle is a lot of the problem. How does taking a week-long vacation from my stressful job and spending a week just napping in a bed going to give accurate results? Give me the ambulatory EEG and I’ll show you results. “If your job is causing you so much stress, quit it” they say, “your symptoms are worsening, you may be able to qualify for SSD” they say. If I quit my quality of life goes up and I no longer qualify. If I keep the job my quality of life goes down and I qualify or kill myself trying to maintain a healthy lifestyle (not intentionally of course.) Its a catch-22. It really is a catch-22. And being sick is like a second full time job between managing symptoms, scheduling appointments, preeping for testing, worrying about work and bills (or if you qualify for disability and for how long). Then you have life things that everyone does but is way harder to keep up with in chronic illness. It’s so stressful. I’ve had people ask if I ever take a break or go out for something fun… ummm. Nope. Can’t remember the last time I had this so called fun thing you speak of. My only rest is during a flare where I’m trying not to die. But somehow it all gets done. My quality of life is crap and the stress doesn’t help anything, but I know there’s no other choice. so I just keep moving until I can’t anymore.